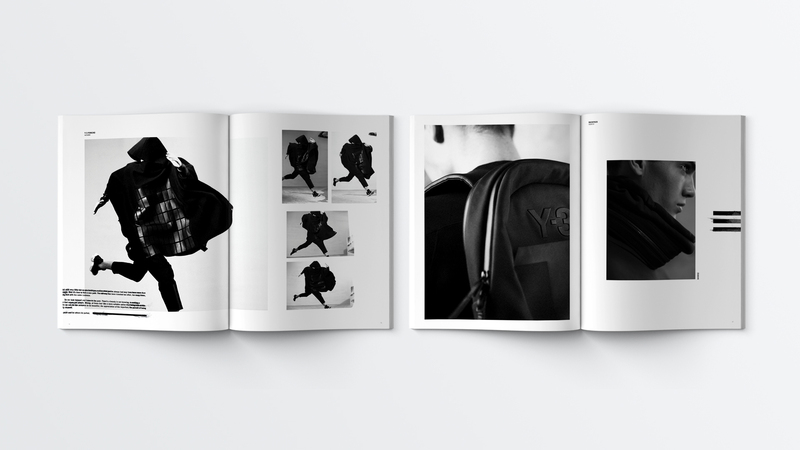 Having previously collaborated with Y-3, Standard Black built on an ongoing relationship with the brand by developing a 360° seasonal advertising campaign that interrogates divisions of status and power in society, delving into contemporary culture’s fascination with surveillance and authority. 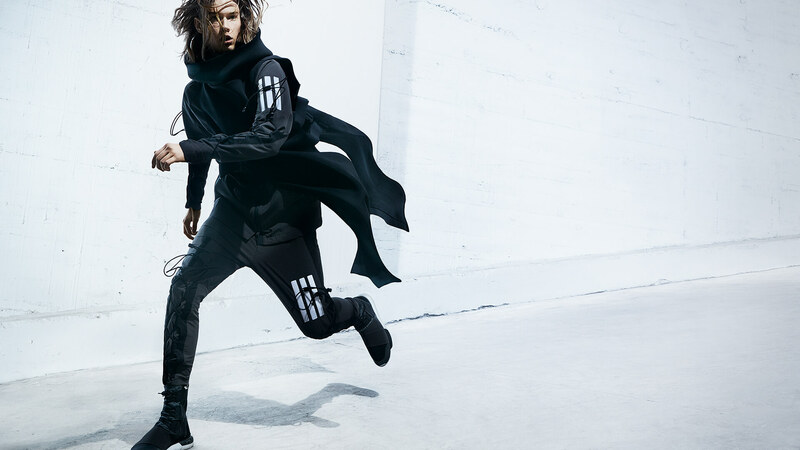 Through a stark, dystopian narrative and bracing images, Y-3 sportswear is positioned as performance garments for future renegades, adapting to each wearer and assisting them as they navigate a hostile terrain riddled with surveillance and high-tech tracking devices. 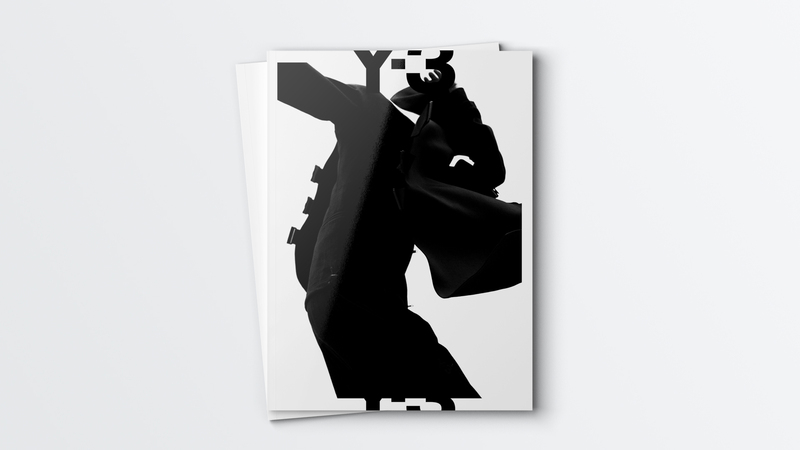 Assets for this project include still photography and video, which feature the collection set against a somber, futuristic backdrop, harkening dystopian science fiction films. 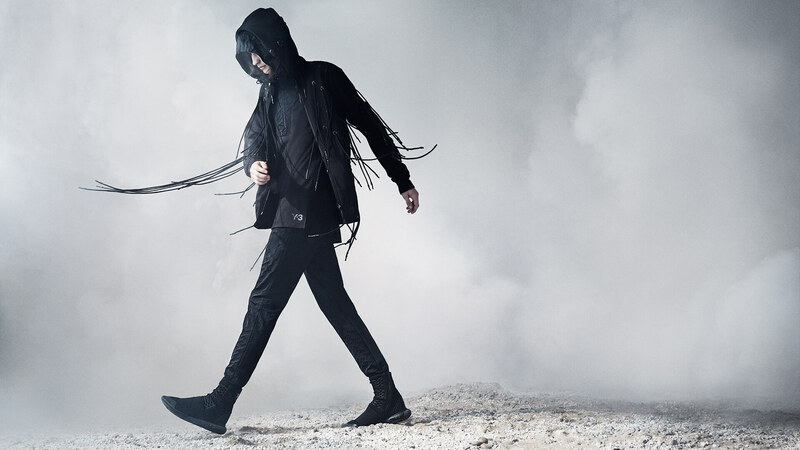 Highlighting designer Yohji Yamamoto’s signature tailoring and performance-forward utility, the backdrop serves as an ideal sertting to showcase the dramatic collection. 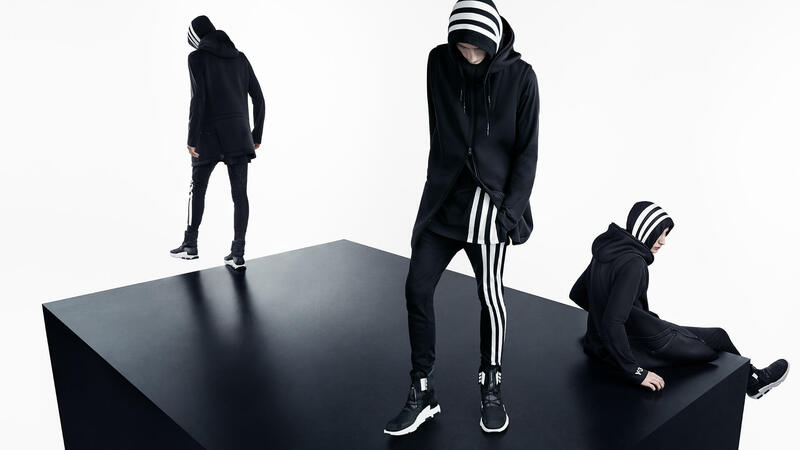 Standard Black creative directed the campaign photography for global rollout online, via OOH, and in-store. We additionally art directed the campaign video, along with social photography assets, in-store graphics, and print brochure. 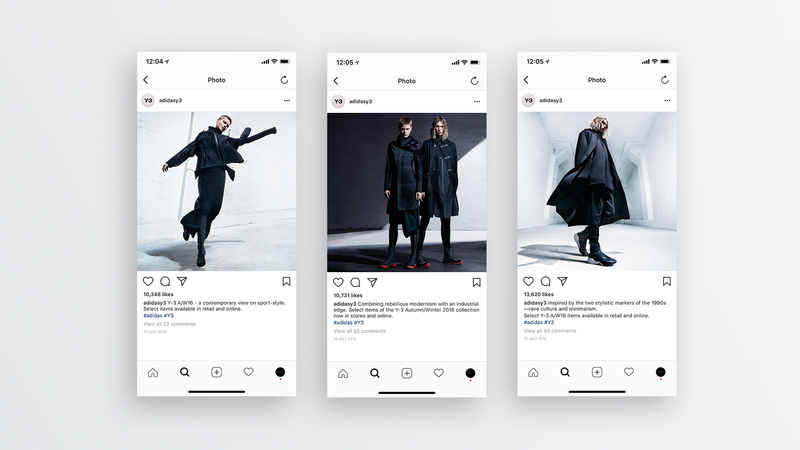 Instagram: The % of followers growth for the F/W16 and S/S17 seasons was 22% higher than seasons F/W15 and S/S16. 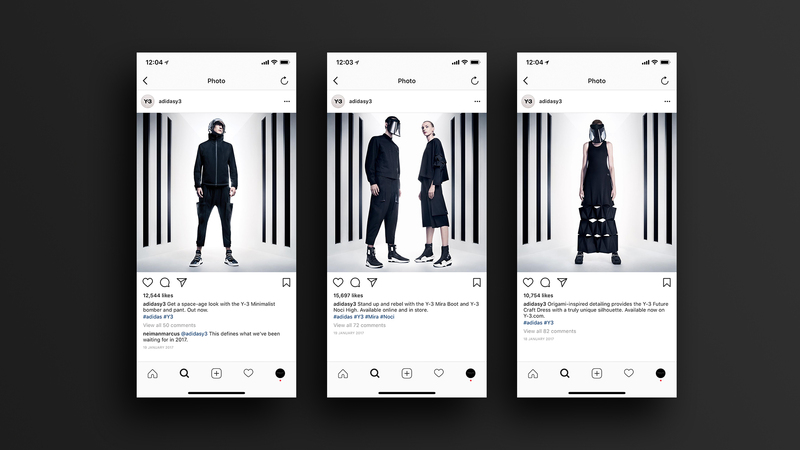 Aligning with Y-3’s avant-garde vision, Standard Black designed an integrated campaign that takes direct aim at the preexisting notion of the “fashion film,” expanding its definition by developing an experimental narrative that mirrors society’s fascination with surveillance technology. 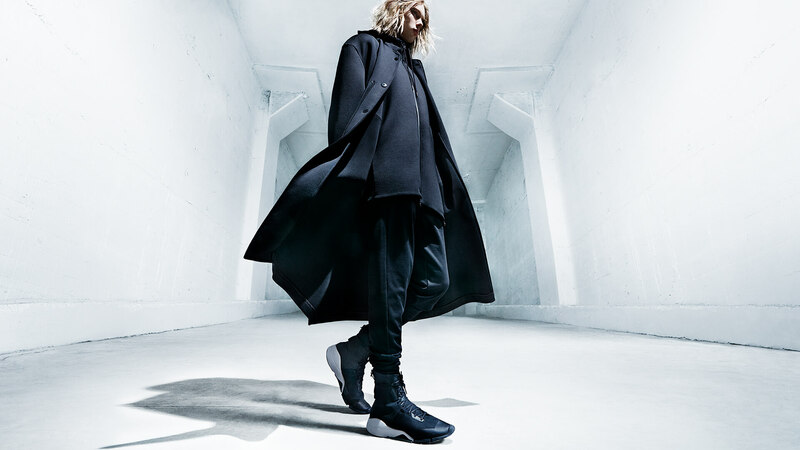 Yohji Yamamoto once said: “My role in all of this is very simple. I make clothing like armor. 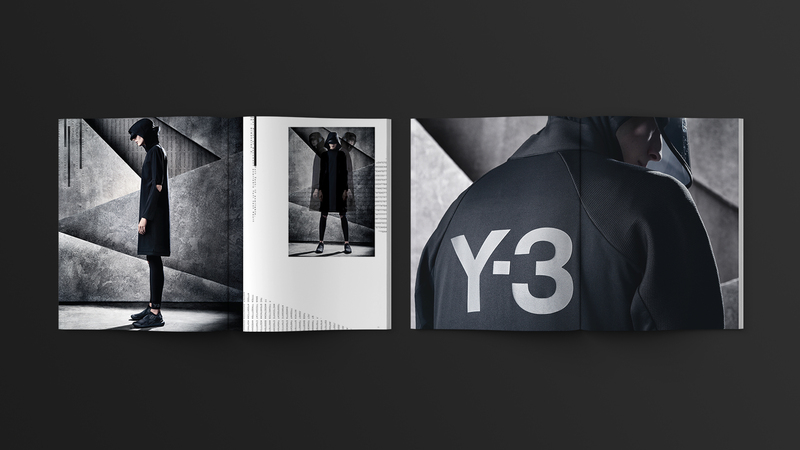 My clothing protects you from unwelcome eyes.” Playing on this notion, our campaign for Y-3 suggests a dystopian future where surveillance is pervasive, with Y-3 sportswear taking on an expanded role of personal protection. Assets for this project include still photography and video, both of which activate the collection by featuring it in a deconstructed warehouse, contrasting Yamamoto’s rebellious, modernist design against utilitarian architectural motifs.